Excited to have RaeLynn in the Number 1 Movie in the Box Office! Sadie Stanley is an actress, known for Kim Possible (2019) and Game Shakers (2015). "An adrenaline seeking snowboarder gets lost in a massive winter storm in the back country of the High Sierras where he is pushed to the limits of human endurance and forced to battle his own personal demons as he fights for survival...."
About Kale: Big and small screen star most well known for playing Young Eric LeMarque in the 2017 biographical drama 6 Below: Miracle on the Mountain. He made his acting debut in 2015 playing Kid President in the short film World Peace. His mother's name is Mara. He has an older brother named Kason and a sister named Karli. "A young girl comes of age in a dysfunctional family of nonconformist nomads with a mother who's an eccentric artist and an alcoholic father who would stir the children's imagination with hope as a distraction to their poverty." About Olivia: Olivia Kate Rice is an actress, known for The Glass Castle (2017). She is the younger sister of Isabella Kai Rice. Ava Cantrell in Sci-Fi Drama "One Under the Sun"
The cast includes Benicio del Toro and Josh Brolin. Read the article here. About Elijah: Elijah Rodriguez is an actor, known for The Book of Life (2014), Sicario: Day of the Soldado (2018) and We Die Young (2018). "On the eve of the transition from film to digital, the longtime denizens of a camera store confront their personal issues in this darkly comic story. About Maddie: Film and television star known first for her appearance in the 2015 Zach Braff film Self Promotion. She has since joined the cast of the 2016 drama Camera Store. One of her first acting roles was in a 2013 episode of Bucket and Skinner's Epic Adventures. In 2016, she and Samantha Cardona starred in the YouTube webseries Miss Understood. "Best bros Chip and Dave saddle up for a whirlwind adventure when Chip's latest invention accidentally transports them back in time to the Wild West. About Fallon: Fallon Smythe is an actress, known for Kali Karate: Better to Be Alive, Than Dead! (2017), Lost in the West (2016) and Grown-ish (2018). "Astronaut Kathryn Voss, sole survivor of a disastrous space mission, is desperate to reunite with her terminally ill daughter but becomes a fugitive when the government discovers she's returned to earth with an extraordinary gift." Ava is the 2017 LA Femme International Rising Star . She co-stars as supernatural antagonist Diana in New Line Cinema's horror feature Lights Out (2016), she stars in the Stan Lee recommended indie sci-fi feature film One Under the Sun (2017). She is best known for her recurring role on Nickelodeon's comedy The Haunted Hathaways (2013)"
Ava has been successfully working in Hollywood since 2008 appearing in commercials,music videos, films, television and television pilots. She is an award winning Actress and Dancer. 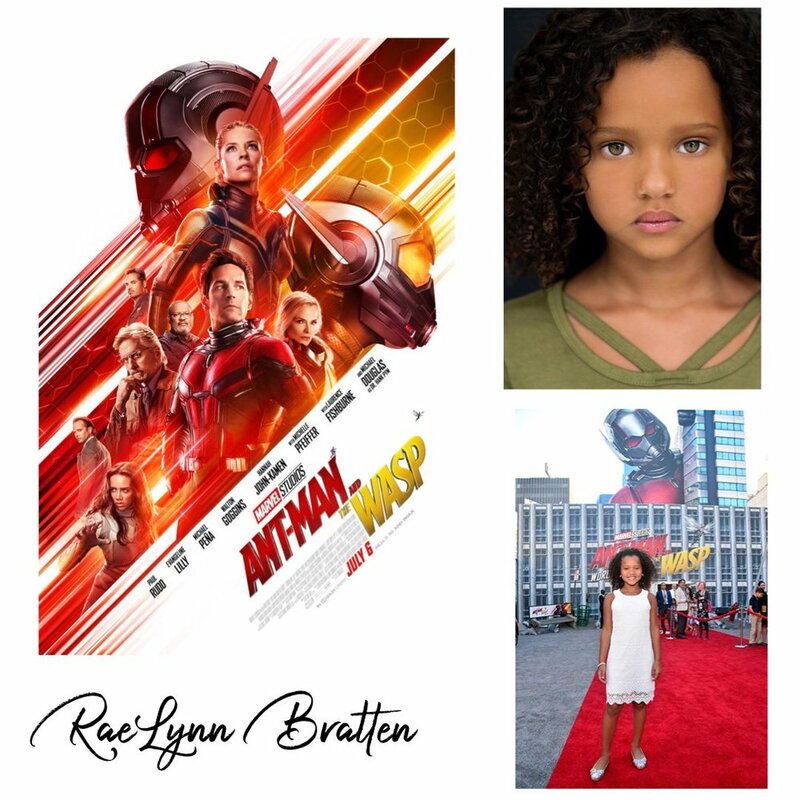 She started her acting career at age 8 booking commercials, short films, features, web series, and television, guest starring many times on Nickelodeon's Haunted Hathaways from 2013 to 2015. Ava is actively involved with many charitable organizations like the LA Mission and Animal rescue centers. She loves surfing the beaches of San Diego and maintains national honor role status. Look how awesome Gabe White is on the Framed: The Adventures of Zion Man! "An evil Nazi, a boy's vivid imagination and his comic book drawings take you on a journey into a world where his fantasy becomes reality at the most inappropriate and dangerous time. Being 12, a talented comic book artist, having a mind of his own, his first crush, the fearlessness that comes with youth and being Jewish in Nazi Germany was Walter's life. Inspired by actual events a combination of live action and animation(based on Jaeden Lieberher's drawings) makes for a thrilling and entertaining tale." Gabe grew up in Houston, Texas, the middle of 5 children. As a young boy he attended an Elementary School with a dual language Spanish program and was immersed in Spanish and is consequently bilingual. He attended St. Francis Episcopal Day School where he played Varsity Football, Soccer and Lacrosse and served as a student representative on the athletic and student councils. Gabe supported his younger twin siblings by serving as a volunteer football and basketball assistant coach. Growing up in Texas, Gabe enjoyed many sports in addition to the ones he is now involved including golf, tennis, basketball, and swimming competitively. He is an accomplished pianist and has taken classical piano for 6 years. When he turned 9, he began taking classes at HITS Theatre and enjoyed developing his skills in musical theatre. A few of the roles which he was cast included Rooster in Annie, Oz in Wizard of Oz, Trevor Graydon in Annie, Danny Zucko in Grease, and Prince Eric in Little Mermaid. In addition, he began training for film and commercial acting, and modeled for several events professionally and to raise funds for organizations such as "MD Anderson, Cancer Institute" and "Children's Advocates of Houston." He discovered his real love theatre and acting and attended the Alley Conservatory in Houston at the age of eleven at which he wrote and performed his own monologue, in the production, "Ghosts." He has gone on to play Teen Ebenezer and Peter Cratchit at the Alley Theatre in Houston for the last 3 years in "A Christmas Carol." His film credits include My Father Die, role of younger Asher, The Elving Project, role of Finn, Framed: The Adventures of Zion Man, role of Bruno, The Surface, role of younger Peter, Brotherhood of the Traveling Pants Parody, role of Bailey, Dust Theory, role of older Milo, Snakebite, role of Tyler, Bastards, student and Doublecrossed, role of Caleb. He loves acting and portraying both dramatic and complex characters as well as characters with a comedic flair and wit. 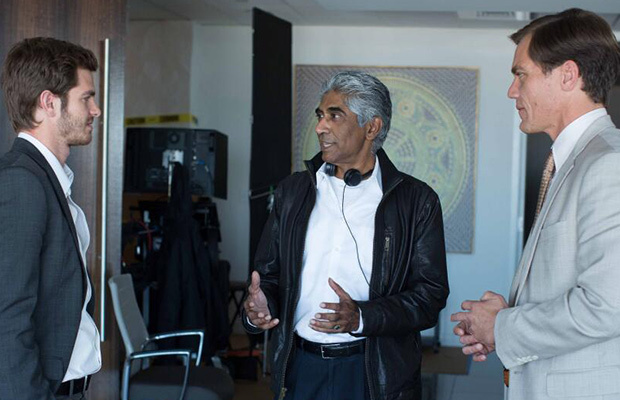 He is also developing a passion for screenplay writing and hopes to one day write and direct as well. "Friends start a babysitting business to save up for college, but when the babysitting money just isn't cutting it, they start a prostitution business as well." About Doug: Doug Noble is an actor, known for The Morning After (2015), Taking a Chance on Love (2014) and I'll Eat You Alive (2015). So Excited for Tyler Massei in his Leading Role in Play Nice! "Peter and Raquel are on a mission to get their oddball son into the best preschool in the country. Unfortunately, they accidentally run over the dog of the school's elitist admissions officers on their way to the interview." Noah Lomax has been cast to shoot 99 Homes, Ramin Bahrani's new drama starring Andrew Garfield. Ramin Bahrani’s indie drama marks the first time Garfield has played a father on the big screen. After playing Gerard Butler’s son in “Playing For Keeps” and Josh Duhamel’s son in “Safe Haven,” Noah Lomax is getting a new Movie Dad — Andrew Garfield. The 12-year-old actor has been cast as Garfield’s sarcastic son in Ramin Bahrani’s indie drama “99 Homes,” which co-stars Michael Shannon and Laura Dern. 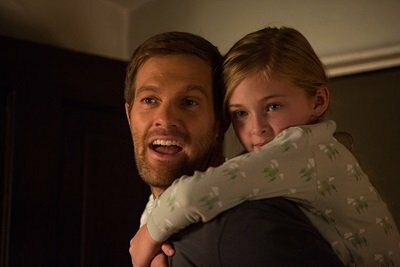 “99 Homes” represents the first time Garfield has played a father in a feature film. Set against the backdrop of the economic crisis, story follows an unemployed contractor (Garfield) who gets evicted from his family home along with his mother (Dern) and his son (Lomax). In order to get his home back, he takes a job working for the realtor (Shannon) who evicted him and teaches him how to succeed in the foreclosure business. Treehouse Pictures’ Kevin Turen and Justin Nappi are among those producing the movie, which is currently in production in New Orleans. Lomax is represented by AEFH Talent Agency, Principato-Young Entertainment and Houghton Talent. Story: Set against the backdrop of the economic crisis, the drama revolves around an unemployed contractor who gets evicted from his family home with his mother and his nine‐year old son. Desperate to get his home back, he strikes a deal to work for the powerful, greedy, charming, gun‐toting real estate broker (Shannon) who evicted him. While it puts a roof over his daughter’s head, becoming the broker’s apprentice puts the contractor in a moral bind: is having a home worth losing your values and soul? Release Date: Production began back in November and we’re thinking this will once again hit the film festival circuit in the fall – with stops at Venice, Toronto and/or Telluride.